The application VeryPDF PDF Editor allows you to convert any printable documents to pdf document. 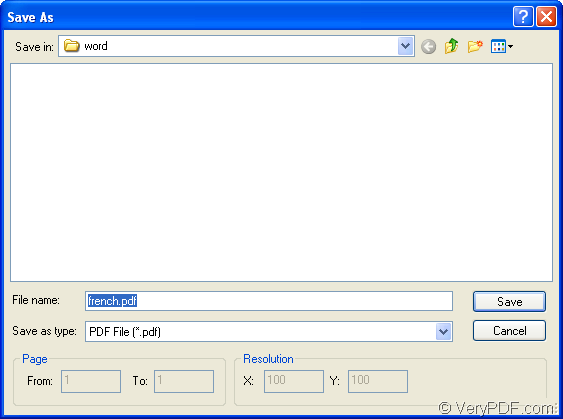 For example, you are allowed to create the document of pdf from word file. If you want to see how to fulfill the conversion, please read this article carefully. PDF Editor is able to convert many kinds of file formats to pdf documents, also able to convert pdf document to various image formats. You can also use it to edit the input pdf document. For example, if you want to modify the document, you can edit the texts, draws or other elements for the document. You can also add comments, annotations, stamps, links to the pdf document. For converting the printable documents to pdf file, you need to install a virtual printer on your computer at first which is named as VeryPDF PDFcamp Printer. Please download it at http://goo.gl/qXU7f and install it on your computer. In the end of the installation of PDFcamp Printer, you will be reminded whether to set PDFcamp as your default printer, you’d better choose “Yes”. 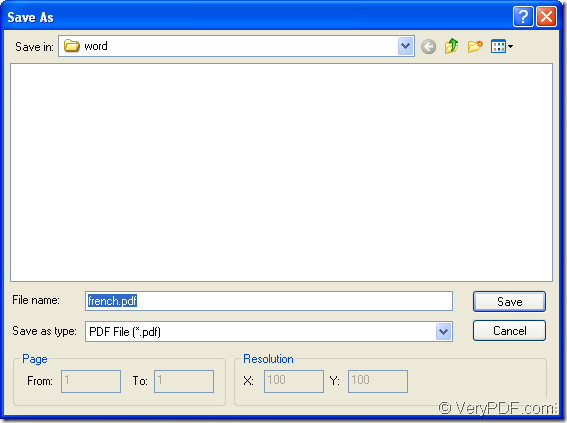 To use PDF Editor, please download the free trial version at http://www.verypdf.com/pdf-editor/pdfeditor_setup.exe for evaluation. After installing it on your computer, you’d better create a desktop icon of it for conveniently using the application. Please double click the icon of PDF Editor or right click the icon for opening the dropdown list and choose “Open” option to open PDF Editor. Then you will see the user interface of it on your screen. Please click “File”—“Create PDF”—“From Any Printable Documents” and “Open” dialog box will come out, in which you can choose the word document to be converted. Through PDFcamp Printer, the word document will be printed to PDF Editor. Then you need to create pdf from word document. Please click “File”—“Save as” for opening “Save as” dialog box in which you can save the target file. You can also use the hot key “Shift”+ “Ctrl”+ “S” to open the same dialog box. Please see “Save as” dialog box in Figure 1. The “Save in” dropdown list enables you to choose an existed path for the target file on your computer. In “File name” edit box, please rename the target file if you don’t like the default name created by the application automatically. In “Save as type” dropdown list, please specify the output format as “PDF File (*.pdf)” and then click “Save” button to save all the settings and create pdf from word at the same time. When the conversion is over, you can browse the target file with some kind of Office program such as MS Office. If you like the application PDF Editor and want to use all the functions of it, please buy it at its homepage: http://www.verypdf.com/app/pdf-editor/index.html. How to convert documents to flash free and share it online? How to check PDF Security Settings in Adobe Reader? How to convert from office files (DOC, DOCX, XLS, XLSX, PPT, PPTX, RTF, TXT, HTML, etc.) to vector SVG files? How can I stamp the "Sold" word on some PDF files with VeryPDF PDF Editor?